Whenever Dan and I invite guests over for their first meal at our place, we often serve up fresh pasta as our main starch. Guests are always surprised at not only how tasty fresh pasta is but also how quickly it can be made. This is because we usually complete the final preparation of rolling out the pasta, cutting, cooking, and dressing the pasta within minutes right before their eyes. 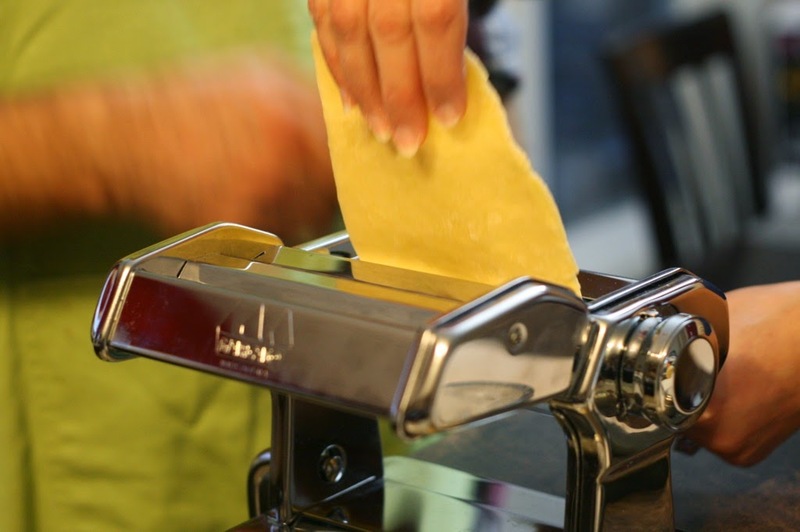 Making fresh pasta at home is way easier than you think. 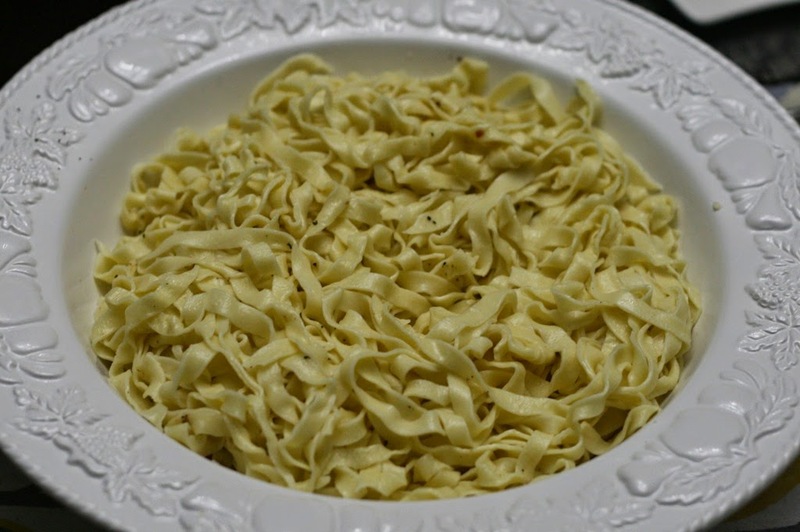 In fact, you would be surprised to learn that the cooking time for fresh pasta is faster than waiting for the water to boil and cooking boxed pasta. The one thing that we have found crucial to making pasta is a kitchen scale. This removes any of the guesswork and "feel" when you often read other pasta recipes. 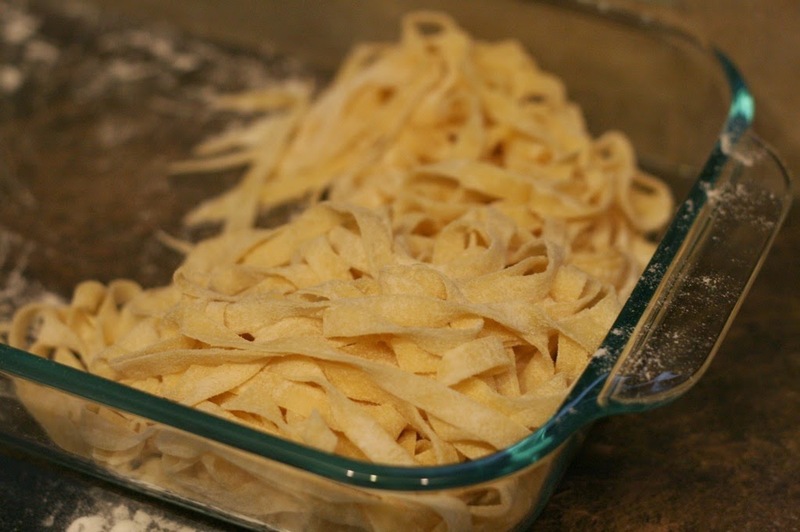 Using a kitchen scale also makes it much easier to increase the quantity of pasta you make with predictable results. We make our pasta using an egg:flour ratio of 2:3 (two to three). This means that we usually weigh our eggs first, then multiply that weight by 1.5 to calculate how much flour to add. For example, when we weigh two eggs and the scale displays 60g, the amount of flour to mix in is 90g (1.5 x 60g = 90g). Dan says that this is a great chance to practice your math OR you can use this calculator that Dan made! We find that 2 eggs is enough for the two of us but when we have guests over we usually use 5 medium sized eggs. 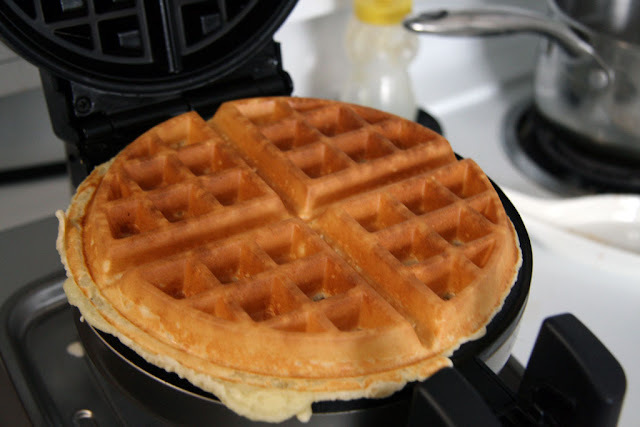 Once you have your eggs and flour measured out, mix the eggs into the flour using the paddle hook in your Kitchen Aid for a few minutes until combined. Scrape the dough onto a sheet of plastic wrap and then wrap the dough tightly and let it sit in the fridge for about 20 minutes. This extra 20 minutes will make your dough consistency more even and also make it easier to roll. 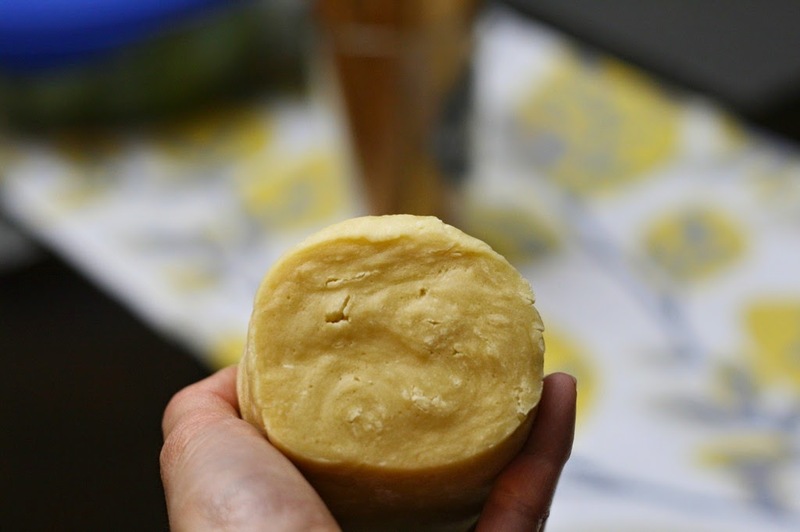 Take small fist-sized chunks of the pasta dough, thread it through the pasta maker twice through each setting. I usually prefer a slightly thinner pasta so I start on setting 1 (on our pasta roller, the thickest setting is "1" meaning the rollers are furthest apart) and then run each sheet through until setting 6 (the rollers get closer with each setting). 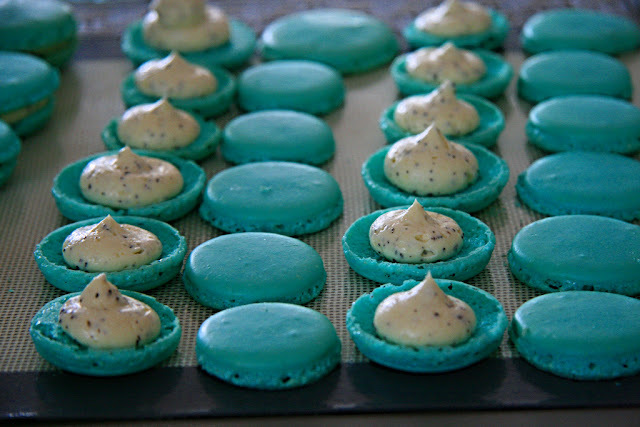 The higher the setting the thinner the pasta dough will be. If the pasta sheet gets sticky, lightly flour each sheet of pasta before running it through the pasta maker again. Once all the pasta sheets have been flattened to your preferred setting, switch the pasta maker to the cutting side. Place a plate underneath the pasta maker to catch the cut pasta. Ensure there is enough flour on the plate prior to cutting the pasta. We usually use the fettuccine setting to cut our pasta. While you are cutting the pasta, boil water in a heavy 5 quart pot. Add a pinch of salt to the water. 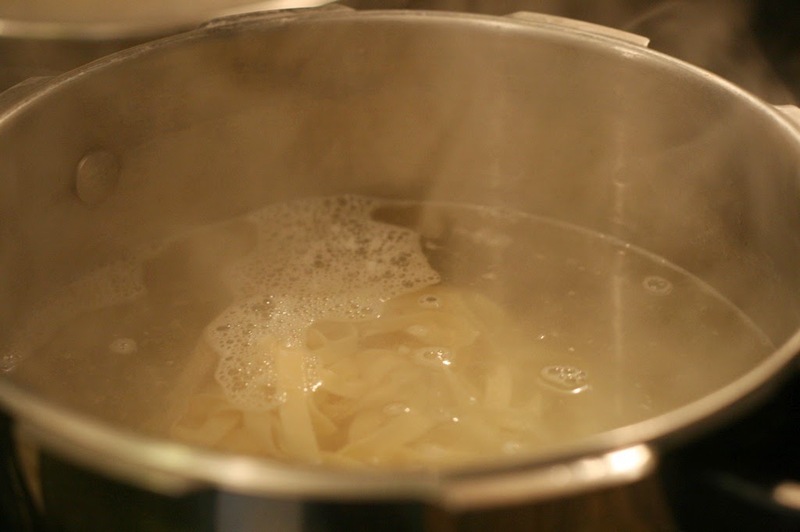 Once the water is at a rolling boil, cook your fresh pasta for under 2 minutes. Stir occasionally. Fresh pasta cooks very quickly so be careful to not overcook it. Place a bowl underneath a colander and drain the pasta. We usually reserve some of the pasta water behind and then use it to coat the pasta. This will help the seasoning to stick to the pasta. We typically season our pasta with two tablespoons of truffle oil (we buy ours from the Italian Centre - look for the ElleEsse made in Italy bottle with chunks of truffle inside), fresh ground salt and pepper. Right before serving shave pecorino romano onto the pasta. Feel free to dress your pasta with pesto, red or white sauce. Regardless, the pasta will taste amazing! Enjoy your freshly made pasta! 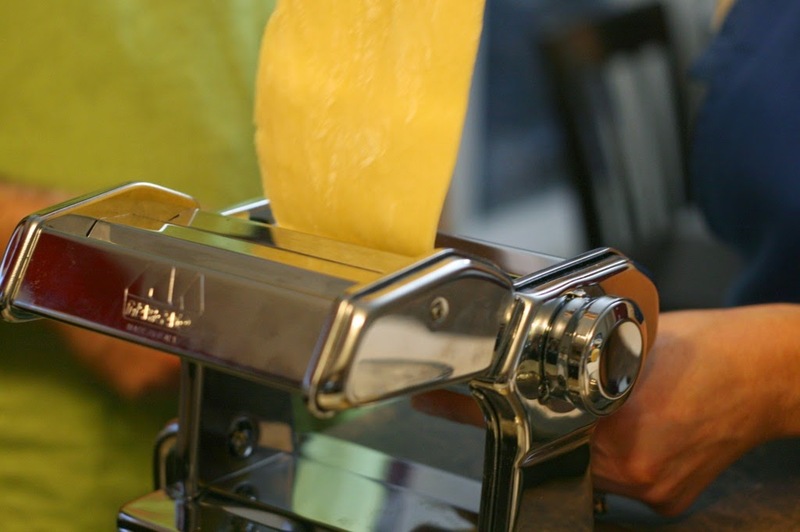 Once you have made fresh pasta, you really can't go back!